WhatsApp, the biggest instant messenger service in the world, has been testing a new private reply feature for the groups. Right now, there is no way to message one member in a group chat privately. The only thing you can do is to privately message that person by opening another chat. But, once the private reply feature is rolled out, users will be able to send private messages to a group member without anyone else in the group knowing about it. The feature was first discovered by WABetainfo a website dedicated to finding new features in WhatsApp beta releases. 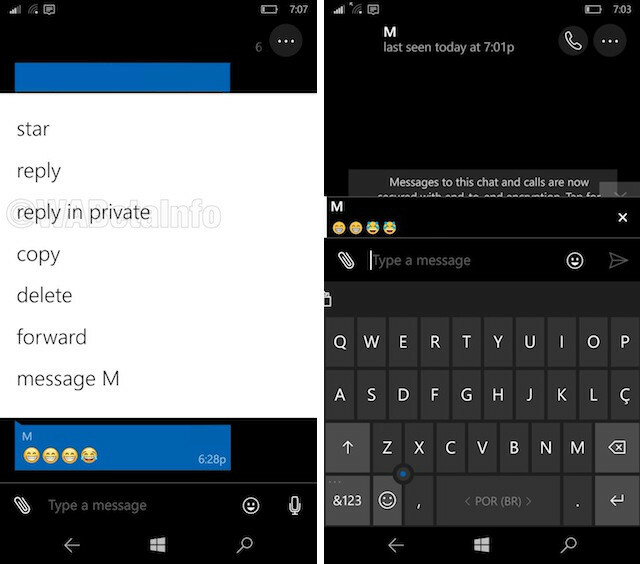 They found a private reply feature activated on WhatsApp’s beta version for Windows Mobile. The private reply feature was seen in the WhatsApp beta build number 2.17.342 and then later removed with the release of new 2.17.344 build, leading people to speculate that it has mistakenly included in the past. And now, it’s made a return with build number 2.17.348 for Windows Mobile. So, now it’s quite possible that it’s ready for the Beta testers, and could even be rolled out to all users soon. When the private reply feature is enabled, it can be accessed by long-pressing any message inside the group. You can then select the private reply option to send a message. 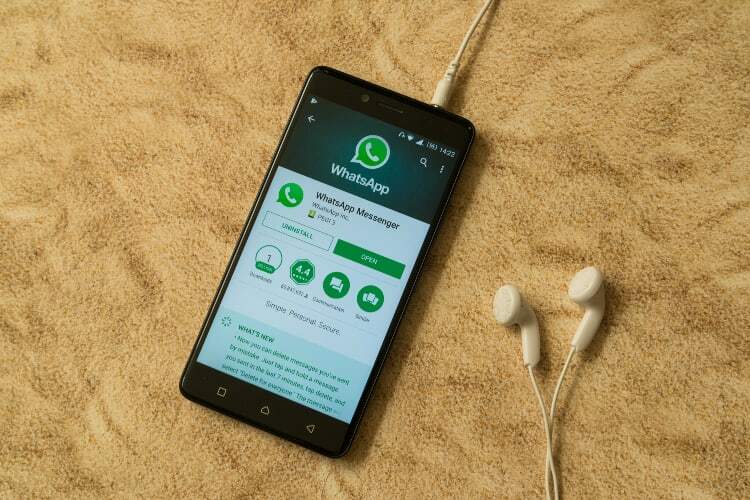 It’s still a little surprising that WhatsApp chose the Windows Mobile platform to test it out, as iOS and Android has a considerably larger pool and variety of users which would be ideal for the test bed. The private reply feature is (again) enabled in the 2.17.348 beta update. Currently, WhatsApp has not given any word on when it will be released to the public, and as it is, there’s still some bugs that need to be fixed. Considering how quickly WhatsApp has taken features from beta to stable builds in the past, it should not take more than a few weeks. I don’t know about you guys, but I am pretty excited about this feature and can’t wait to test it out on my device.